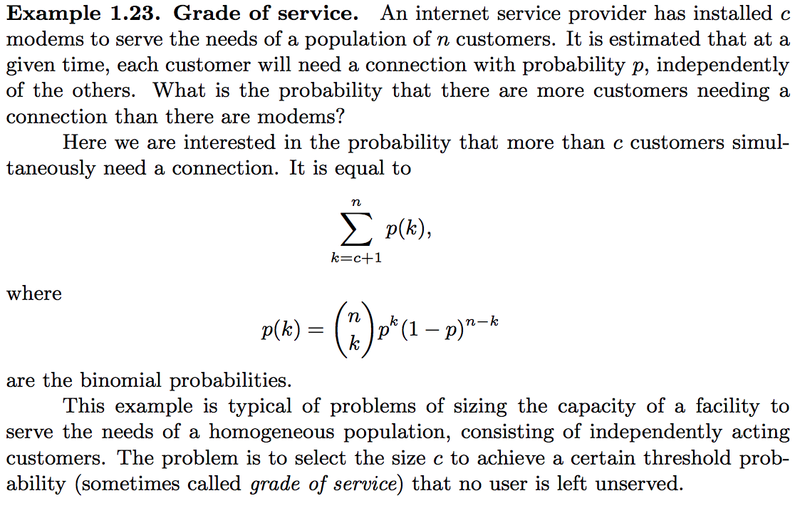 EDIT: Here's an example solution from the author of this example: "If n = 100, p=0.1, and c=15, the probability of interest turns out to be 0.0399." My probability does round to this result. But due to the roundoff error / numerical precision, it doesn't seem to matter if k = n or k = n+1. You should use a for loop rather than a while loop. You can use a generator comprehension to build all prob's. You can use sum to get the sum. Use numpy.arange rather than range. Write out the equation same as above, just not in a comprehension. This has a problem with numbers that exceed a certain size, as numpy numbers are finite. Not the answer you're looking for? Browse other questions tagged python python-3.x mathematics statistics scipy or ask your own question. Is there any downside to define a function that use one dictionary as an argument instead of several (+10) arguments?